We are extremely proud to present this outstanding collection of world music recorded live at our concerts across Southern California. The songs are as diverse as our membership, with music from John Williams, Christoper Tin, Antonio Carlos Jobim and Karl Jenkins, among others. 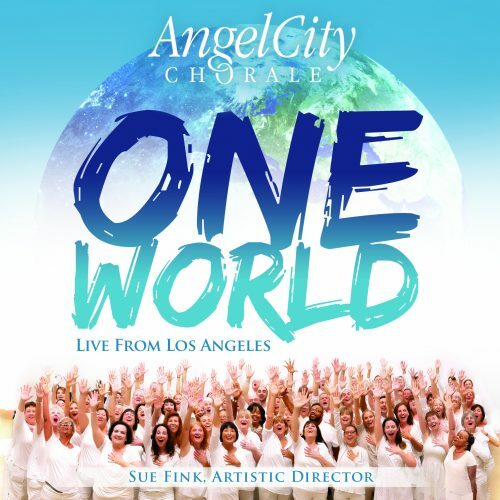 Experience the energy, enthusiasm and pure joy in each of these live performances that have become the hallmark of Angel City Chorale. Very special thanks to ACC members Kat Green, Mary Kate Jimenez-Wall, Mitch Weiss and of course our Artistic Director Sue Fink for making this project happen. Their hard work paid off beautifully, and we truly appreciate it.